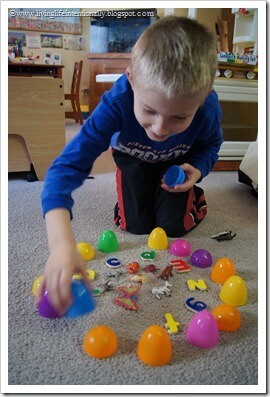 Make spelling games out of plastic easter eggs for some fun, hands on learning for kids. 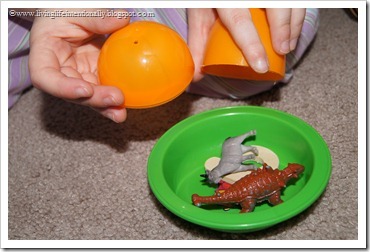 If you are looking for a way to incorporate kid-favorite Easter Eggs into your learning try these Easter Egg Early Learning Fun. Easter Eggs – one for each match. 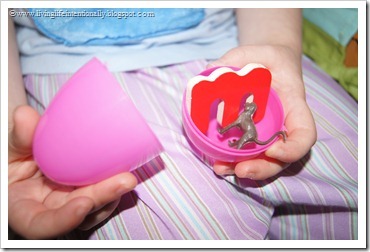 Have your child grab an animal, the correct starting letter, and put them in matching Easter Eggs. 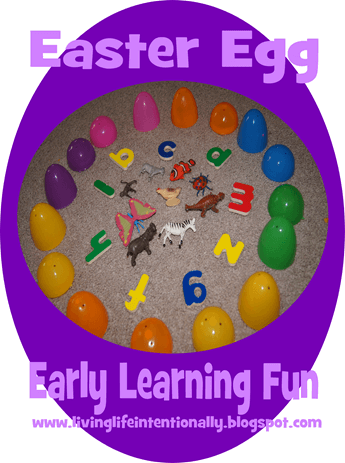 This activity is not only great for learning letter sounds & letters, but also reinforces colors, fine motor skills (closing the eggs) and is a lot of FUN! At the end of the activity my kids thought it was HILARIOUS to shake the eggs & “crack” them in a bowl. So what Easter Egg fun are you having this season?